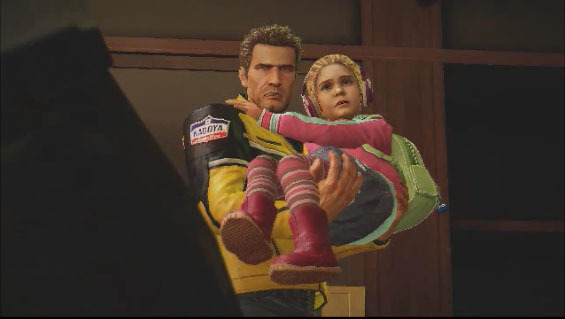 Now that Frank West uncovered what happen in Dead Rising there is no chance that a zombie outbreak would take over another city right? Five years after the town of Willamette was overrun with zombies a new horde is in Fortune City, Nevada where they are contained and being used in a game show called Terror is Reality. The concept is survive or be killed. Desperate for money Chuck Greene a former motocross champion participates. The only reason why he is doing that is because a vaccine called Zombrex has been created to stop the zombie virus from spreading through the body after a person has been bitten and his daughter Katey needs a dose every 24 hours. This open world hack and slash survivor horror game has gotten some major upgrades to the gameplay here from the first Dead Rising. The most important one is that the people you are trying to save are actually no longer useless. They will run past zombies, they will fight off an attack and they will actually fight back and help defend you and other survivors. This is a major improvement and keeps the game flowing and does not frustrated you so much that you start to just let survivors die. The second major improvement is you can now make dozens of custom weapons. It is very fun figuring them out on your own and you get extra point towards leveling up if you take out the zombies with one of the custom made new weapons. You need the new weapons because the psychopaths are not easy at all and they are even worse when you are under level 20. Plus, there are even more zombies around in this game than the first. You would think that having to run back to Katey every 24 hours to give her Zombrex would be a pain but that is not the case at all. You spend so much time back and forth from the city to the safe house that you don’t have to worry too much about the timing. We did all of the storyline elements first and save who we could and them replayed the game and were able to save all the survivors, defeat all of the psychopath and still have time to do all of the story stuff. The first game took way to many times through to level up to finally be able to get through the game. This is a great upgrade compared to the first Dead Rising. 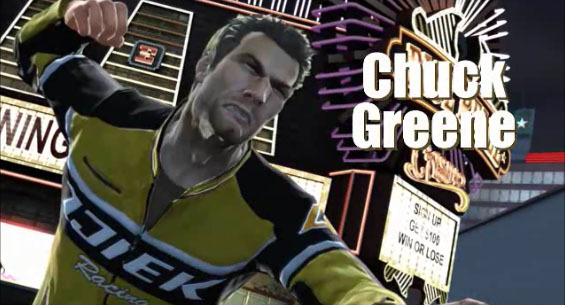 The storyline elements are fun and even funny at times and Chuck Greene is a lot more serious than Frank West. Chuck wants to find out what is going on and keep his daughter safe and the dialog reflects that intent. We like the Chuck Greene storyline, AI upgrade and still want to replay it and unlock trophies and achievements after you beat the game. Keep your price point under $45 or less. 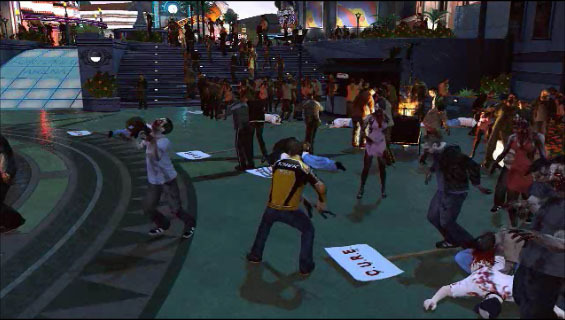 Dead Rising 2 will give you lots to do and several replay hours and not feel ripped off under that price.